한국은 오는 2002년에 일본과 함께 월드컵 축구 대회를 개최하게 되었다. Korea became a co-host of the World Cup soccer tournament with Japan in 2002. 개최의 기쁜 소식과 함께 외국의 동물애호가 협회에서 한국의 개고기 습관을 비판하는 보도가 있었다. Along with this great news was criticism by foreign animal welfare organizations on Korean dog meat consumption. Around the same time, it was uncovered that Koreans in Southeast Asia were slaughtering bears indiscriminately to extract their bile and it became a global issue. This is also a very grave reality and it’s a fact that we feel ashamed about it. 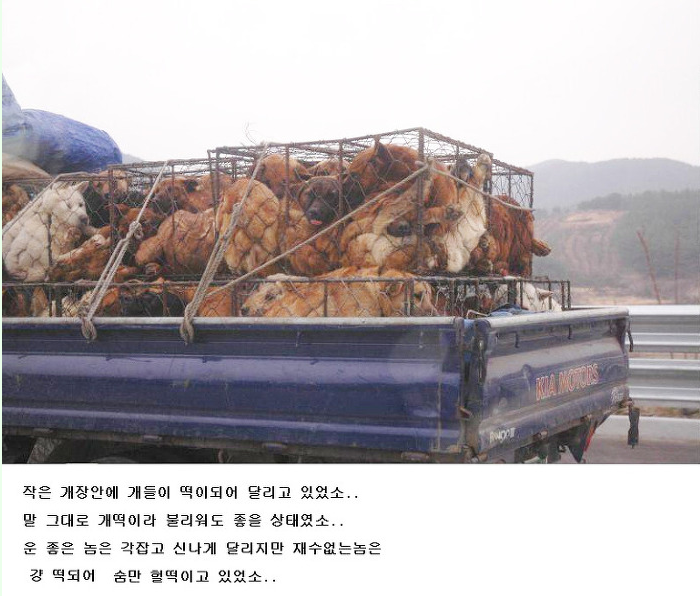 However, despite this, there is no way to stop the illegal slaughter of dogs and bears because most Koreans agree with dog meat and the belief in Oriental medicine that bear bile(from the gall bladder) is an important medicinal ingredient that treats diseases is widespread in Korean society. In discussing the dog meat issue, weekly magazine Hankyoreh21 (7/19/1996) fiercely defended Korean’s dog meat consumption. Reflecting the opinions and requests from many dog meat traders and dog meat consumers, it was evident that the editorial sided only with pro-dog meat views. However, their view went in a very strange direction and were rampant with ridiculous claims. Hence, I would like to offer advice on such wrong attitudes and sentiments and, instill the fundamental Buddhist ideology of “Humanity towards animals” to contribute to the purification of the Korean society. 주간지 『한겨례21』은 민속학자 주모씨를 동원하여, 개고기 식습관은 한민족의 전통적인 식문화이며 또 그것은 중국에서도 있었던 일이기에 동양의 오랜 역사적 전통이 있는 것이며 또 식문화의 다원주의에 입각하여 한국의 개고기 식습관은 이해되어야 한다는 주장을 펴고 있다. With support from folklorist, Kang-Hyun Ju, weekly magazine Hankyoreh21 argued that Korean’s dog meat consumption should be understood and accepted because it is our traditional food culture. Also it argued that the fact that it is also practiced in China means it is deep-rooted in old historical traditions of the East and based on the cultural pluralism of food. 또 주간지 『한겨례21』은 ‘동물애호’라는 서양사상으로 함부로 동양을 재단해서는 안된다는 것이다. 첫째, 우리 고유의 식습관의 전통이라는 주장은 그 동안 일반 국민들의 의견이었다. First, the argument that dog meat consumption is our traditional eating habit was the opinion of the general public up until now. 그러나 우리 전통은 무엇이가, 과연 한국의 과거역사가 어떤 한가지의 전통이라고 볼 수있는가. However, what is the definition of our tradition? Can a past history be defined as a tradition? 불교의 전통 그리고 도교 또 유교 그리고 민속적 전통 등등이 혼재한 상황에서 어느 하나를 전통이라고 하겠는가마는 그래도 불교의 문화 전통이 매우 강하기 때문에 불교의 동물애호사상과 정면으로 위배되는 개고기 식습관은 절대로 전통문화가 될 수 없고, 그것은 국민 일부의 한 식습관에 불과한 것이다. It is difficult to define something as a tradition in an environment where traditions from Buddhism, Taoism, Confucianism, other folk traditions, and so on, are all mixed together. However, because the Buddhist cultural tradition is still very strong in Korea, and dog meat consumption directly violates the Buddhist’s ideology of “Humanity Towards Animals”, dog eating can never be a cultural tradition and is only an habit of some people. Dog meat consumption has become conspicuous nowadays but in the past dog meat was a taboo food for women and regarded as a distasteful food that was shunned by the society. And even if it was an eating habit of the past, just because it was done in the past does not mean, we have to continue doing it today. To say we do is a false -argument. Culture must progress with the flow of time. Even though dog meat consumption could be accepted in the past when the food was scarce and physical labor was severe, the consumption of animals that are considered companions is barbaric in today’s environment, where varieties of other meat are plentiful, where machines have replaced most of the hard physical labor, and where the noble human emotion is demanded. Because humans began raising dogs to guard homes, as bodyguards and bred horses to protect their masters’ lives on the battlefield, these animals co-existed with humans in a close relationship. Therefore, slaughtering them and eating their meat should be considered a betrayal of their faith placed in humans. Regardless of the excuses for justification, we will not be able to shake off the guilt. Despite what I’ve said, if you insist on tradition, I would like to ask the following question. 동양 문화의 중요한 한 원천이 중국문화인데 중국문화의 식습관에는 인육식습(人肉食習)이 있다. One of the origins important to Eastern cultures is Chinese culture and among Chinese food cultures there was consumption of human flesh. It began when people died of starvation due to poor harvests and were eaten, and later on people would commit murder to satisfy their appetite, such as aristocrats who would rush to take away and eat the corpses of death-row convicts. Cannibalism became endemic in Chinese food culture and even a cook book for human flesh called “Cheol-Gyeong-Lok” was published during the late Song dynasty (Reference: Gyo-Mun-Sa Publication China’s Culture of Cannibalism). Moreover, the so-called great saint Confucius also enjoyed eating human flesh until his beloved disciple Jaro was murdered and served to him as a dish called ‘Hae’. So indeed, cannibalism is a distinct Chinese tradition. But if the Chinese insisted that cannibalism must be preserved today as a part of their tradition and cultural pluralism, how would this be received? The term pluralism is used in many fields, but this term can have a dark side of evil. 세상에는 많은 진리적 주장이 있지만 결코 최고로 우수한 진리가 인간들에게 선택되어질 것이다. There are a lot of claims of truth in this world but the greatest truth will be selected by people. 다만 상호 지나친 전쟁적 갈등을 지양하는 점에서 다원주의가 한때나마 필요하지만은 결국에는 자연히 열등하고 잘못된 것들은 사라지고 하나의 진리만이 남게될 것이다. If pluralism is interpreted incorrectly, it can become a shield that hides fraud, incompetence and negligence. For example, in the past, to defend his long-term seizure of power, former president Park Chung-Hee argued for a so-called “Korean style democracy” appropriate for the circumstances of Korea. However, it is a known fact that he planned to permanently hold on to power by introducing Taiwan’s Presidential system. Third, what about the weekly magazine Hankyoreh21‘s argument that the East should not be adjudicated to the West with its ideology of “Humanity towards animals”? This is in fact a very ignorant argument that does not even need an explanation and clearly shows that the media is not up to standard. Buddhism instructs us not to kill conscious animals. In the Dangun tale containing the story about the birth of our nation, a bear and a tiger are given opportunities to become human but only the bear passes the challenge, becomes a women, marries Hwan-Woong, the son of Hwan-In (means God) and gives birth to Dangun, the progenitor of mankind. 이와 같이 우리 전통사상에는 동물과 자연을 인간과 친화적인 관계로 파악하고 있음을 알 수 있으며 불교는 더 이상 말할 것도 없는 것이다. Thus, we know that in our traditional ideology animals and nature are understood as having a friendly relationship with humans and in Buddhism this is even more so true. 불교의 동물애호사상은 산목숨을 살려주는 방생(放生)의식에서 단적으로 잘 나타나 있다. While Korea’s traditional ideology is humaneness toward animals, Western ideology has a Christian tradition where God created all things in the universe for humans and allows the destroying of environments as well as the killing of animals to eat. Anyone who is a Buddhist would have been criticized by the Christians at least once for their difference in belief. 그런데 이러한 개고기논쟁에서, 동물애호사상이 서양사상이라는 주장이 공개적으로 제창되고 있으니 이 얼마나 한심스러운 논리이며 도리어 서양사상을 우상화 시키는 역효과를 내고 있는 것인가. However, in this dog meat debate what a pathetic logic it is to say repeatedly that the ideology of “Humanity towards animals” is a Western ideology, as well as producing an adverse effect of idolizing the Western ideology? 서양의 동물애호사상은 동양에서 건너간 것이라는 사실을 주간지 『한겨례21』은 명심해야 할 것이다. The weekly magazine HanKyoreh21 should keep in mind that the Western ideology of “Humanity towards animals” moved across there from the East. 개고기 논쟁을 계기로 『한겨례21』은 동물차별사상은 동양사상이라고 강변한 셈이 된 것이다. Through this dog meat debate, Hankyoreh21 ended up insisting obstinately that the animal discrimination ideology is an Eastern ideology. 이 논쟁을 보며 몇 가지 집고 넘어갈 문제가 있다. We must examine a few points from this debate. 첫째, 우리의 한국 사회가 이성보다는 이권에 바탕을 둔 대중적 선동술의 판을 치는 성숙하지 못한 사회라는 점이다. First of all, our society is an immature society where popular attitudes based on one’s self-interest rather than intellect abound. 이 점은 정치나 사회 각계 각층에서 많은 사람들이 실감하는 내용이다. A lot of people from all walks of life, all political and social strata, would agree with this view. 둘째, 일부 언론들이 제구실을 하지 못하고 업자들의 요구에만 응한다면 그것은 논쟁이 아니라 의견광고에 지나지 않는 것이다. Second, if any of the media were to fail to perform their function and only accede to the dog meat trader’s demands, it would be no more than advertising (an infomercial) rather than informed debate. 결국 자신들의 독단을 깨닫지 못하고 국민들의 여론을 오도(誤導)하고 있는 것이다. In the end, the media ends up misleading the public opinion of citizens by not acknowledging its own dogmatism. 만일 언론 스스로의 과오를 깨닫지 못하고 과거처럼 군부독재만을 비판하는 일에 치중하는 태도로 일관한다면 그것은 더 무서운 언론의 문필독재를 초래하게 될 것이다. If the media were to fail to realize its own mistakes and maintain a type of attitude that focused only on criticizing military dictatorships like in the past, that would result in a more dangerous journalistic dictatorship. 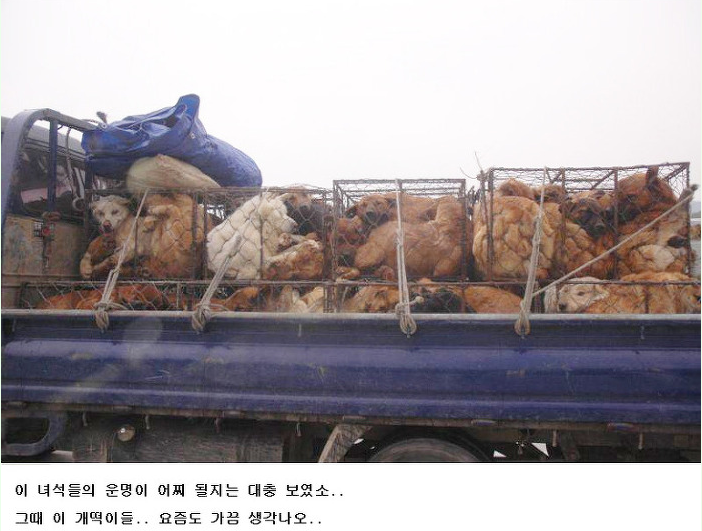 Third, unscientific Korean traditional medicine is encouraging the indiscriminate use of animals. 약재의 공급원을 자연상태 그대로 채취하여 사용하려는 것은 약의 성분이 규명안된 구시대의 방법이다. Using sources collected in their natural states as medicine is a method of the old days, when the medicinal ingredients were not identified. 그러나 오늘날 그 약효를 유발하는 성분이 과학적으로 규명되면 인공적으로 합성하여 사용할 수 있는 것이다. However, if there are medicinal ingredients in these animals and they were scientifically identified, then today we can synthesize them artificially and use that medicine. And yet, Korean traditional medicine continues to practice the old methods of indiscriminately slaughtering animals to use as medicine, and if these practices are extended to using human organs, it will be no different than barbarism. Bon-Cho-Gang-Mok (a medical book written by Si-Jin Lee of the Ming Dynasty in the 16th Century) is a textbook for Korean traditional medicine composed of 52 chapters, and it has a chapter on human anatomy stating that all organs of human can be processed and used to treat illnesses. Fourth, despite the fact that Buddhists make up half of our total population, Buddhism hasn’t taken a leadership position in our society. It is out of step with the core of society and is neglected as a “back alley” religion. 종권다툼에는 엄청난 광적인 열광을 하면서 정작 중요한 여러 사회 문제에 대해서는 영향력이 미비하고 오늘날 동물애호사상이 서양에서 발생하였다는 주장까지도 횡행하게 되어도 뒷짐이나 지고 있는 현실인 것이다. While Buddhists are fanatically passionate about their struggle for religious rights, it’s a reality that when it comes to important social issues their influence is minor. They take a backseat when the argument that today’s ideology of “Humanity towards animal” originated from the West is rampant. 이러한 천민불교 형태에서 하루바삐 벗어나 이제는 진정한 개혁을 하여야 할 것이다. 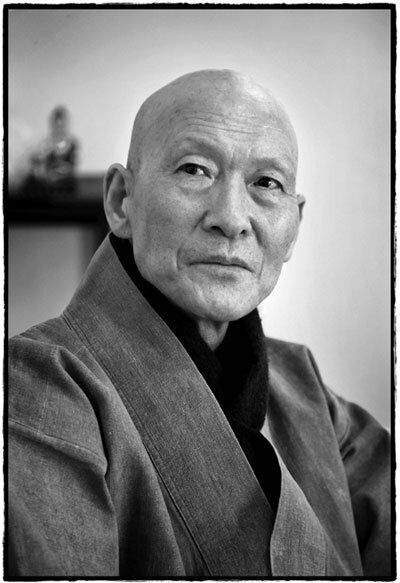 We must escape from this type of lower class Buddhism as soon as possible and bring about a genuine transformation. 다섯째, 사실 개고기 식습의 근거는 개가 그 교미시간이 한시간 이상으로 소나 말에 비하여 몇 곱절이다. Fifth, the basis for dog meat consumption is that a dog’s mating time is over an hour and several times longer than for cows or horses. 그 점은 뱀이 더하지만, 이러한 이유로 한국에서는 개와 뱀을 정력제로 생각하고 먹는 것이 그 저간의 진정한 이유이다. Snakes have even longer mating time than dogs and this is the real reason why Koreans eat dogs and snakes, seeing them as sexual enhancers. 이러한 한국인들의 정력에 대한 과도한 집념은 한국이 성폭력이 세계 3위인 점과 깊은 상관관계가 있을 것이다. Such an excessive obsession over virility by Koreans probably has a correlation to the fact that Korea ranks third in the world for sexually violent crimes. 또 과도한 성집착은 고아수출과 무절제한 낙태가 빈발한 사회의 원인이 되지 않나 분석이 된다. Furthermore, it can be analyzed that an excessive sexual obsession is most likely the cause of our society’s frequent orphan exports and reckless abortions. 낮에는 전쟁 등 한국적인 불열상에 열중하고 밤에는 성에만 탐닉한다면 이는 한국특유의 천민문화*상놈문화가 될 것이다. If we are only absorbed in Korean-style divisional conflicts during the day and indulge only in sexuality at night, this would be a lower class culture distinctive to Korea. 겨울철이면 골짜기의 개울 돌틈사이에서 동면하는 개구리를 무차별로 잡아먹는 것을 보면 아무래도 우리 국민들에게는 상스러운 측면이 있다. 이들은 저 개구리도 정력을 돋구는 것으로 믿고있기 때문이다. 우리 사회가 고래로 정치, 경제, 종교 등의 각계각층에서 사분오열되는 내분에 국력을 낭비하는 것은 정을 들여 키운 개를 하루 아침에 도살하여 잡아먹는 데서 오는 인간신뢰에 대한 상실로 인한 배반의 악습이 인간 상호간에도 의식적으로 무의식적으로 적용되기 때문에 파생된 당연한 결과라고 필자는 본다. 또 이 개도살에 따른 공해가 심각하다. Additionally, the slaughter of dogs causes severe pollution. 개를 집단으로 사육하는 과정에서 엄청난 소음이 발생하여 공중적 폐단이 매우 심각하다. In the process of mass breeding of dogs, a lot of noise pollution occurs and its negative effects on the public are serious. 소음을 줄인다고 강제로 개의 고막을 파열시키는 잔인함까지 저지르니 개고기를 먹기 위하여 못하는 짓이 없다. Moreover, to flavor the meat, sometimes the dogs are hung by the neck then mercilessly bludgeoned all over with a club, bursting their internal organs and killing it brutally and heartlessly. We must indeed call this a diabolical behavior. And even after the dog is dead, it is blowtorched to burn off their fur, causing odors to spread throughout the neighborhood. There are so many dog traders who make their living adversely effecting human minds and greatly polluting the society just for the eating of dog meat. This is in fact a waste of national resources as well as blasphemy against human society. 개가 인간과 같다고는 절대로 볼 수없다. We can never consider dogs and humans to be equal. 그러나 인간 생활과 가장 가까운 동물인 개만은 특별히 봄으로써 인간의 동물에 대한 사랑의 의식 전환의 기틀을 마련하고자 하는 것이다. However, by considering dogs who are closest to our lives differently, we lay a foundation for the transition of our consciousness regarding a love for the animals. 다른 고기도 먹지말자하면 그것은 자칫 특정 종교의 신조로 비추어질 것이며 또 실현될 수 없는 주장과 같다. Asking people to refrain from eating all meat can easily be considered as a creed of a certain religion and it will be like an argument that can never be realized. 개도살을 방지한다면 은연중에 다른 동물에도 깊은 애정을 가지게 될 것이다. When we prevent the slaughter of dogs, we will implicitly develop deep affection towards other animals as well. 흑자는 동물에 대한 사랑을 인간사랑으로 대신하는 위선으로 보는 측면도 있으나 동물도 사랑하는데 인간사랑은 말 할 것도 없는 것이며 동물사랑은 인간에 대한 절대적인 사랑을 갖는 계기가 될 것이다. Some people may look upon the love for the animals as hypocrisy and think it replaces love for fellow humans. However, there’s not even a need for discussion on this because someone who loves animals would without a doubt love fellow humans, and also love for the animals would be an opportunity to develop unconditional love for the fellow human. From the viewpoint of Buddhism, because dogs are very close to our lives, they are often reincarnated as humans in the infinite cycle of life, death and rebirth. 『목련경(木蓮經)』에도 보면, 부처님의 제자 목련의 어머니가 생전에 죄를 지어 지옥고를 마치고는 개의 몸을 받아 태어났다고 하였다. When you look at the Mook-Ryun-Gyeong(a Buddhist scripture, Sutra), it’s written that the mother of Mook-Ryun(a disciple of Buddha) sinned while living, endured the suffering of hell, and was reborn as a dog. 다분히 믿기 어려운 신화적 이야기지만 일제 때에는, 강아지를 박대한 한 집주인의 꿈에 죽은 어머니가 나타나 ‘네가 나를 그토록 박대할 수 있느냐’ 하며 크게 꾸짖기를 며칠을 반복하다가 집주인은 끝내 그 강아지가 어머니의 환생임을 믿고 극진히 대했다는 것은 불가의 유명한 설화인 것이다. To maintain the integrity of human life, to purify of our emotions for the peace in our society, dog slaughter and dog meat consumption must disappear. 정부에서도 이 문제를 적극적으로 개입하여, 금지하는 현행대로 철저히 집행하여 개의 무자비한 타살이나 소음공해 등은 엄격하게 다스려 이 사회에서 근절해야 할 것이다. The government must strictly govern and eradicate ruthless dog killing and dog farm noise pollution from this society by actively intervening in this issue and thoroughly enforcing the current laws prohibiting this practice. 동물애호 입장에서 본다면 스페인의 투우도 문제가 심각하다. From the viewpoint of animal rights activists, Spain’s bullfighting is also a serious problem. Bullfighting is an atrocious game where the spectators enjoy the cruel and evil competition of a bull being thoroughly ridiculed and then killed with a single stroke of sword. It must be eradicated through international condemnation and pressure. Boxing also is a cruel game that strikes the head, the most important in human, knocking people out and occasionally we can witness some of these fighters dying. Some doctors have argued that boxing should be prohibited by law. In addition, guns, knives and other weapons are common among children’s toys and promoting these to children results in the encouragement of a cruel, evil, barbaric and combative society. Please stop eating these innocent animals, even in your country they are considered your pets, in our country dogs are our babies; we sleep with our dogs, we eat with them. WE DONT EAT THEM. You have other sources of food, why eat dogs, is proven scientifically that dogs feel love for everybody, not just for food. Dogs are capable of loving more than a human. Stop the killing of dogs for food. PLEASE DO SOMETHING!! !